Exceptional meeting space and service are what you can expect at the Clyde V. Madren Conference Center. Clemson's Madren Center is located in Upstate South Carolina between Atlanta and Charlotte, convenient to Greenville, Anderson and Spartanburg. 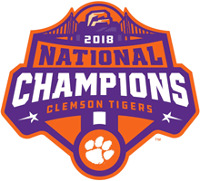 Interested in hosting your Clemson event here? The Clemson Madren Center features a grand ballroom, executive boardroom, meeting rooms, tiered auditorium, training rooms, seminar rooms and excellent pre-function and registration space. We are here to help meeting and event professionals create the ideal setting for any type of Clemson event.